Someone moved away and left trash and one small half bald Maltese dog. One of my friends was asked to clean the place up and found him and to our suprise his paperwork. Left among the trash. Bill been with me 6 months now has all his hair back and for his ordeal very well adjusted except with a little sepration problem where working on. Our Beagle is his best friend. 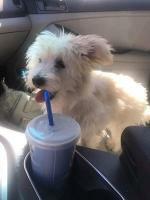 And Bill the Maltese has his forever home. I have need for a service dog - Maltese for a homebound invalid who adores animals and is capable of giving lots of love and care to it. apilz@msn.com Nevada, utah, Colorado accessable. I have an adorable maltese female, purchased from the breeder at 5 years old. 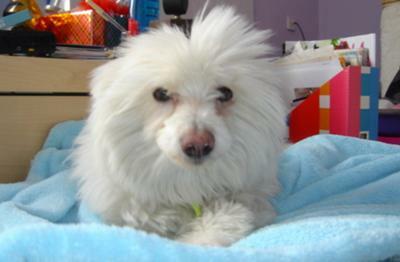 Typical charming good nature of the maltese ...needs a new home as soon as possible. Help. I want a loving home for her. She is now 6 and was adopted for a family member who cannot care for her. how far away are you. And I would want this dog for my bother in law. He has cancer so I wanted to surprise him. If you are close enough for me to pick up. 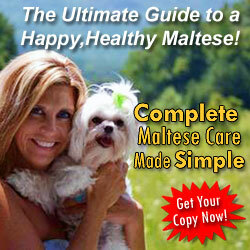 I am interested in the doggie and I am willing to take good care of the Maltese. My email is zoerodriguez5309@gmail.com, please contact me if you are willing to give me the Maltese I will take good care of it. Some of the comments in here are so funny. Has his forever home already! You are so very kind to be helping this puppy. I believe that animal abusers are evil people. 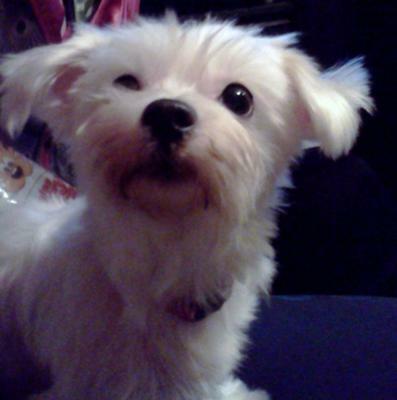 I was fornunate years ago to have adopted a maltese from my local shelter. She had been abused and it broke my heart. Took her home and after a few months of love she was our baby. God bless you girl. Are you f'ing crazy or just completely uneducated to the evils of the world. 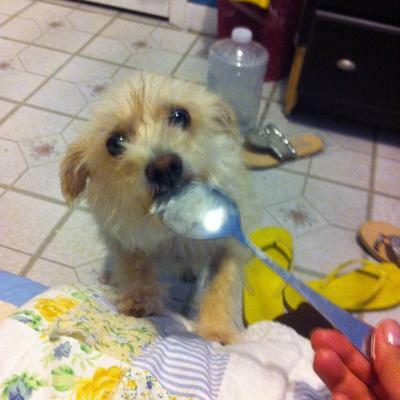 You never ever evvvvver do what your doing with this poor little dog. People will tryh and re-sell this little pupper or she/he could be used as a bait dog. OMG what in gods name are you thinking???????????? God help this dog and it's future. Interested in picking up your dog. Is e still available? I have a large yard and am home most of the day and will be able to take good care of him. Is he house trained and fixed? Hi is he still a available? Do you have more pics? I feel so sad that there is people doing that to dogs which is a puppy, I cried while I was reading this because it felt like that I wanted to stay with that poor puppy. I really love puppies and I wish that people can help out instead of trashing them I and I would love to tell the world that I sware to God that I wouldn't do that to dogs and I would pray every single day that to everyone could be nice to dogs I wish I can be a big help . If I was the person who trashed the dog I will rather donated or give it to someone I know that is so sad and I will sware that if I see those peoples I will be disappointed and sad but if they leave I will promise to all of you that I will bring the pets to the people for donation I wish I can be a big help. Oh my goodness I want this baby... Recently lost my husband of 44 years. I would love to have the little one for companship, to love and gave love returned. I'm alone now and desperately need someone to care for.. This angel will fill my heart with love.. What an awesome gift he would be for me. Please consider me as his forever mom??? Plz consider me!! URGENT! I need this dog!!! This is the "little one" I've been looking for !! For the past 5 years I've longed for a little dog like this to cuddle with and go for walks with!!! I'm sure he's found a home by now but Im hoping if there is any chance he's still available you will consider me!! I loss my dog a year ago since them I want a dog. My dog was mix poodle and maltese my grand kids love her until this day they be asking me when am going to buy another dog, but they want it like princese that was her name. Her color was beige. i am from india (delhi). i love pets and i want to adopt one . if you have him then i would like to get it delivered it to my place. If Bill is available I would like very much to have him, raise him and give him a wonderful home. My husband recently passed away.....and I need a puppy to keep the laughter in my heart. Jerry, my husband, made me promise I would. He was a Marine of 30 years. Please email and let me know if Bill could possibly have a home with me at kitstime2000@yahoo.com. Thank you for your kindness ahead of time. I just saw this gorgeous baby someone left behind. 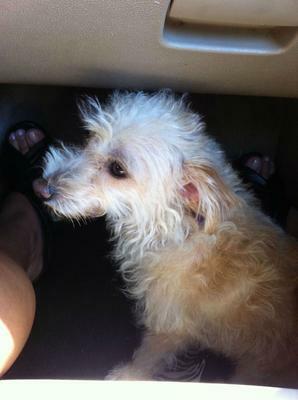 If the dog is still available, please text back or call me at 561-414-6679. Thank you. I have MS and am looking for a baby to take all over with me. I had a Malipoo I lost last year and ready for another baby. Thank you and god bless. I have to say that is one pf the worst things I've heard! Now adays you hear all kinds of horrible stories about animals being abused and so forth.. Makes me sad. Angry and darn right flippen ticked off!! Until he was 15 1/2 yrs old I had to put him down a few yrs ago! He became I'll:( it was the saddest day of my life.. I cried and cried!! 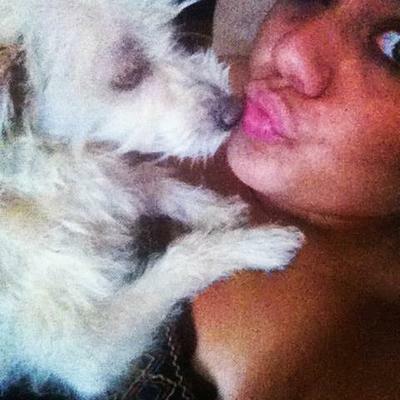 Till this day i sill think about him running around and barking with my two other dogs! I miss him still today! Do u still have this dog to give away? look im 11 years old my cat milk died at age 1 i miss her know i want a doggie and when i saw that dog i knew that i wanted it please call 323 494 9371 please. if you r looking for a home for him ill take him. My baby Sadie will be 1 years old on April 9, allready I have begun to boy her birthday gifts. What a joy she has been to me. That is sad how you got him. I would never leave any it my dogs behind. I am happy that you took him in. He look's just like my Desi. Join in and write your own page! It's easy to do. How? 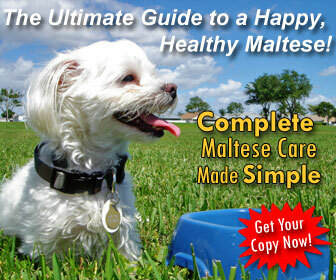 Simply click here to return to Cheap or Free Maltese Puppies. My friend and I were driving down the street about two months ago in the evening. Thank God for street lights because IG not we would've definitely ran over this poor little Maltese doggie. We swerved pretty hard and almost hit a tree to avoid hitting whatever it was that ran out in front of us. After a few seconds of catching our breath I ran out the car and there she was. I called to her to come to me and she did as though she wanted to be with me. She had huge knots and her nails were horribly long. Balls of dirt and grime all over. I brought her home and groomed her to the best of my ability. She was so timid and seemed a bit shook but always willing. Never tried to bite or anything. She let me bathe her and cut her nails (with the proper dog nail cutter) and was very quiet. I put up posters and got no response. I named her LuLu and he began responding to it as tho it was always her name. Two months later I am madly in love and follows me everywhere. We cuddle and play every single day. My family loves our Maltese and she is so extremely happy that I would be lying if I said I'm kind of glad no one claimed her. She is part of my family now and I love her more than anything. 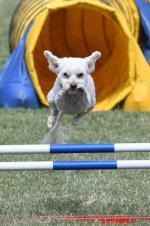 This is the story about how I found a free Maltese dog. I was working in my house one summer day and my male servant came to me telling me that there is a dog in the inside house yard. I said it must be the neighbors go ask them he said he did ask and its not come and see it. I said maybe it's lost ask around then he said its been sitting next to his room door for the past 36 hours. Then I said you don't say why you didn't tell me go get him he went and got him. He walks in and placed the cutest white fuzz ball on my living room floor. I was so happy to see this cute creature looking at me and getting close to me, ooh my god what a cutie, hello little fella are u a he or she? I checked and it was boy with very long messy grayish white hair I gave this Maltese some water asked my servant if he had given him any food. He said yes he was eating his chicken left overs, then I gave him a bath and checked him if he was infected or anything to find out that his ears where cut short declawed and his teeth where all filed. His canine where almost the size of is front teeth. I felt so sorry for this abused dog how could they do such a thing for this poor little soul :( How can he defend himself if he once in danger. He's defenseless! i like it , i want to get one plzz, can we contact? ?